Student loan debt is growing substantially while medical salaries are stagnant. With many students graduating with over $100,000 in debt, can a traditional job really get you financial freedom? The answer is yes, but it will take you decades. So what can get you debt free in just 2-3 years? One answer is traveling therapy. Travel Therapy is one of the BEST ways to repay your student loan debt! As a savvy traveling therapist, you have the potential to earn $100,000 a year or more and pay off your loans in 2-3 years! When I graduated physical therapy school I had over $150,000 debt at 7% interest! I felt suffocated and angry at myself and my profession. Then I stumbled upon traveling physical therapy. While most permanent positions were offering me meager salaries of $65,000, travel therapy was overing me almost double that! With travel therapy, I felt like I was finally getting paid what I deserved and I could finally afford to start living my life! 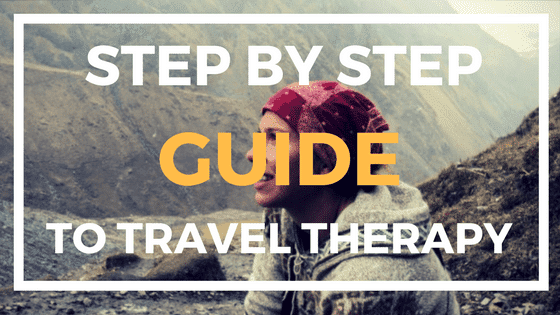 Below are the 8 steps that I use to maximize my travel physical therapy earnings and get rid of my student loan debt fast! The highest priority should be to find the best travel company for you. This travel company should be honest, should pay you top dollar, and should be able to find you the jobs that you WANT! This is the most important step in my opinion, as having the best travel company will enable you to find the best jobs and get you paid top dollar. I am including finding your ultimate recruiter as well in this step. Great companies can have sub par recruiters, so you also want to find a recruiter that will fight for you and get you paid top dollar! To learn what to look for in a travel company and recruiter, you can read Keys Characteristics of A Great Travel Company and to know what questions to ask them you can read Key Questions to Ask Your Traveling Company. Take Home Point: Find the best company with the best recruiter for you that provides the highest pay and best benefits. Once you have secured your amazing travel company and recruiter, you then want to ask them to find you the highest paying positions. Specifically first, what are the highest paying settings. Usually Acute Care pays the best, but this may vary by city, state or facility need so ask your recruiter. You now want to find the highest paying states and then narrow this down even further to highest paying cities. California is usually the highest paying state for therapy positions. However, New York is often a close second and other states may be providing high pay rates depending on their need. Ask your recruiter at the time what are some of the highest paying states they are currently seeing. Cost of living is the costs you would incur to live in that respective state or city. For example, if I live in Los Angeles, CA, what would be an average rent, utilities, food, internet and TV, gasoline for my car, license fees. This are the costs you need to live in that city. Once you have found the estimated cost of living for your desired state or city, then compare this to the what those assignments are going to pay you! What you want is a LOW COST OF LIVING and a HIGH PAY RATE. This is the best combination to make the most money! The more you consistently work, the more money you will earn and the faster you can pay off your student loan debt. If you can assignments that are always needing travelers or want a traveler to stay for multiple assignments that lock that down!!! This is the best type of assignment because you can always rely on them for work. Always impress your employers and make sure you build your network of assignments. After each assignment, make sure to take your manager’s phone number, email and address. You can use this for your resume and for references but also for connections for future travel assignments. This will enable increased pay since you wont have to perform orientation again and it will also decrease your down time between assignments. Make sure you are asking for a sign on bonus, extension or contract re-newal bonus. If you have worked at an assignment before, ask for an increased pay rate since that facility will not have to re-orient you. To learn how to negotiate to maximize your contract click here! To make more money, you have to work more. In order to do this, you should limit your time off and vacations. The other key step is to make sure you are organized and that you prepare ahead of time for your next assignment. Never have down time between assignments if your focus is paying off your loans and making the most money as possible FAST. You should be contacting your recruiter 4 weeks before the end of your current assignment to prepare for your next assignment. To learn what to do when your first contract is ending and how to start a new assignment click here. Wow That’s A Lot. How About A Simplified Version? Accept lucrative positions: Average pay rate that can be achieved in certain areas can be $1700 even $2000 per week, AFTER TAXES! That comes out to about $88,000 – $100,000 in earnings per year after taxes! Be strategic with your housing: Find housing with roommates or fellow travelers or loved ones/friends. This will allow you to discount your housing costs as well as utilities and other fixed costs like internet and television. Be strategic with your assignment settings and locations: Certain states will reimburse more for travelers due to the high demand. You will often find the highest paying state for travel contracts is California. In addition, many jobs will offer competition or sign on bonuses for in demand travel positions. Be strategic with your taxes: I always ensure I have a solid tax home and have followed all the IRS tax rules in order to claim tax deferred housing and meal stipends. I also maximize my 401K and IRA investments to take advantage of the stock market growth and tax deductions. Minimize down time in between assignments: By building relationships with my managers and recruiters, I was able to work various travel positions without any significant breaks in between assignments. This allowed me to maximize my earnings potential. It is also important to be well organized and keep track of when your assignment is ending. My recommendation is to contact your recruiter at least 1 month prior to ending your current assignment in order to begin the process for a new position. Negotiate incentives: I was able to negotiate a $1/hr raise after renewing a traveling contract with certain positions. This comes out to be about $2000 raise annually. 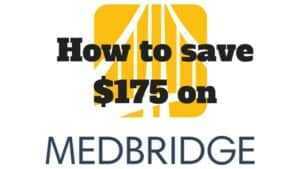 I also negotiate reimbursement for continuing education and travel costs to each assignment. Here is an example of how fast you can really pay of your loans with travel therapy! If this savings was transferred to Betty’s loan balance: 60,000 x 3 years: $180,000 of debt would be paid off! If Betty’s debt was only $150,000, she actually now has her debt paid off plus $30,000 in the bank after 3 years! Bobs take home pay: $50,500 after taxes. Bob makes only: 32,500 at the end of the year after taxes and living expenses. If he used all of that for student loans it would take him 5 years at least to pay off his loans. As you can see from the above examples, a travel therapists could conservatively make $60,00+ a year after taxes and cost of living expenses. Compare this with the mere $32,000 that a therapist would make in a permanent position, travel therapists are making almost double what therapists in permanent positions earn. 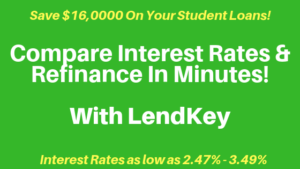 If you combine smart choices in terms of where you travel and what assignments you take with low cost of living, then you could potentially pay off your student loans in 2-3 years. 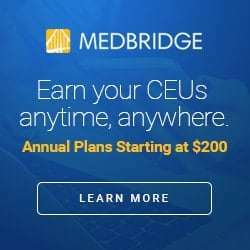 Inspired to try to start a career as a traveling healthcare professional? Here’s some related posts to guide your way! Want to become a traveler the quick way?? 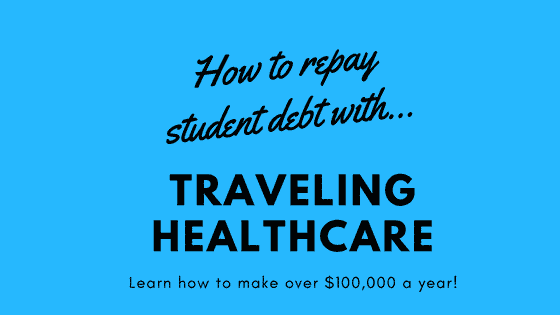 Traveling healthcare is the best way to conquer your student debt and still lead a great career and live life to its fullest! DONT FORGET TO JOIN THE TRAVEL THERAPY 101 FACEBOOK COMMUNITY! ** Disclaimer: All salaries provided here are hypothetical and should not be taken as a guarantee of earnings or pay rate.